Economics, Strategy and the Firm draws on the increasing synthesis of ideas from economics and business strategy to explain how organizations fulfil their corporate goals. 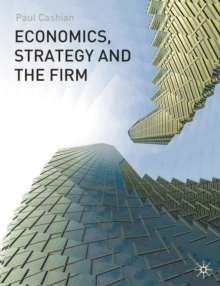 The book provides an analytical framework showing how tools from economics can be used to explain, and even predict, the economic behaviour of organizations. Pages: 448 pages, 448 p.